Increasingly, books, media and the storage of data & information is digital. 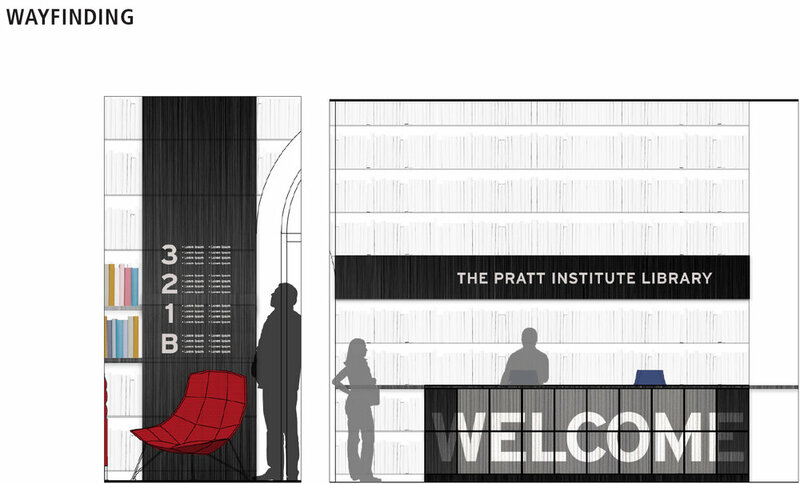 The goal of this project was to determine the impact of these changes on how we access, store and perceive information for the future of libraries in general, and the Pratt Institute Library in particular. We worked with Russ Abell, the Director of Libraries at Pratt Institute, to develop a concept and design to address the changing role of the library. 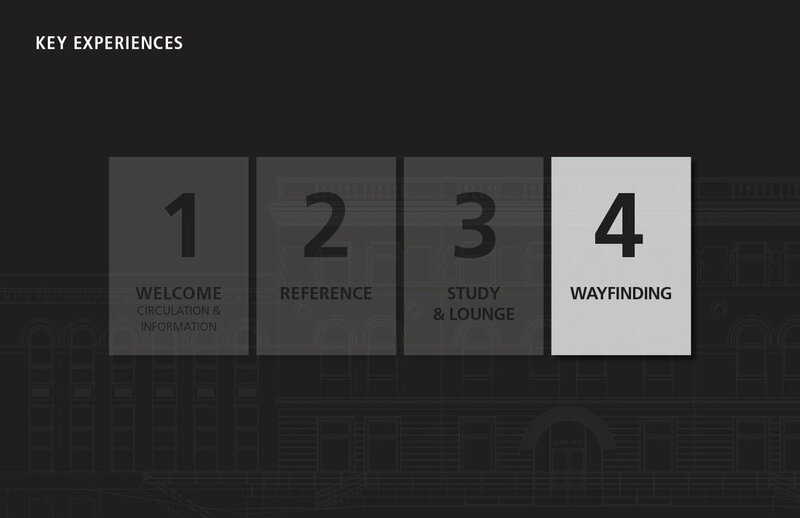 After extensive research and observation, including surveying the library staff and students, we determined that the library could only remain relevant by adapting to fill different roles and functions: to remain an integral part of the campus and community of the future, the library needed to become a place of connection and congregation, and a community space that fostered interaction and strengthened student engagement. From a design standpoint, we embraced the idea of porosity, which helped strengthen user engagement through visual connection. We discovered that many of the services and public areas of the library were under-utilized because they were too opaque—users were not aware of all the library had to offer. 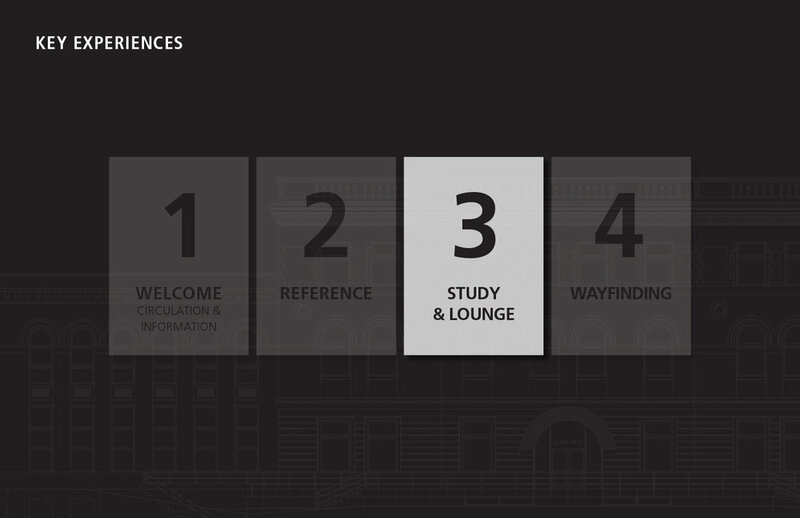 Our research revealed that the first floor and welcome area were spaces that had the greatest impact, and would benefit most from our limited time and resources. Our designs responded to the need for more transparency in access to services and improved way-finding. 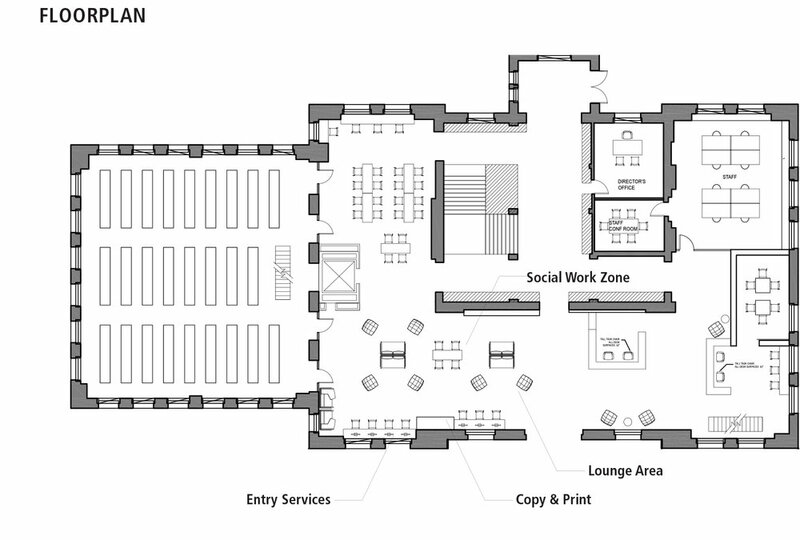 Through improved signage, smart material and construction choices, an open-concept floorplan, and physically consolidating key services through clever design, we created a revitalized library experience. The new experience is comfortable, easy and welcoming to all library users, designed to strengthen student engagement and foster interaction among users.